I'm looking for a recycled cassette for my ML-3051N printer? 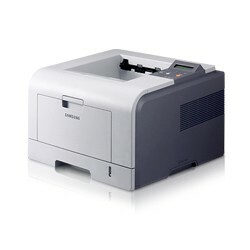 The Samsung ML-3051ND is a versatile office printer with built-in duplexer. The ML-3051ND is a mono laser printer that prints black and white documents at up to 28ppm and offers resolutions of 1200dpi. Samsung ML3051ND printers work with transparencies, labels, envelopes and post cards in addition to standard paper. In terms of running costs the toner save function should save you money but not nearly as much as you will save when buying Samsung ML-3051ND toners from Cartridge Save. We sell the high capacity black Samsung ML3051ND toner in original or compatible cartridges so you can expect to run your printer more cost-effectively when purchasing these great value cartridges from us. If you have shopped with us before you will know that our free next day delivery of Samsung ML 3051ND laser toners can save you time any money. If you needed any further incentive to shop with us we include a money back guarantee on any purchase you make. Our no quibbles return policy results in complete satisfaction for all of our customers because if you receive anything less than a top quality Samsung ML3051ND cartridge we will refund your money in full. Place your order in the safe hands of our award winning customer service team and get an unbeatable deal when buying Samsung toners from Cartridge Save. The Samsung ML-3051ND is an excellent monochrome laser printer with decent print speeds and great quality output. It has a maximum resolution of 1200 x 1200 dpi and a monthly duty cycle of 35,000 pages. The Samsung ML-3051ND mono laser printer comes with built-in Ethernet and duplexer yet is very affordable The only improvement this printer needs is a higher paper handling capacity. Shaped like a cube, the Samsung ML-3051ND measures 400 x 433 x 285 mm and weighs 11.1 kg. It has a small control panel on top beside the output tray and it features a monochrome LCD display and function buttons. The Samsung ML-3051ND has a maximum paper handling capacity of 550 sheets (with the optional paper tray). Print speed is quite fast at 28 ppm for A4. The first page comes out in 8.5 seconds. The Samsung ML3051ND printer can help save resources in the office with the use of the built-in duplexer that lessens paper waste. It has Ethernet for easy networking and the network-ready Samsung ML-3051ND laser printer delivers great quality images and text documents despite the unitâ€™s cheap price. The high capacity black Samsung ML-3051ND printer cartridge offers good value for money with its 8,000 page capacity. Unfortunately, the Samsung ML-3051ND black and white laser printer does not have Wi-Fi. For a workgroup printer, this unit has limited paper handling capacity. The ML-3051ND can only hold a maximum of 550 sheets.